Siding is not only attractive, it’s your home’s first line of defense against the wind, rain, snow and hail. Installed properly, it becomes a protective shell around your house. It’s also useful in helping to keep the warm air inside your home during the winter and the warm air outside from entering your home in the summer. However, even the most well-designed and well-installed siding sometimes needs repair. Whether you have sustained minor wind damage, major damage from a severe hail storm, or your wood siding is rotting, Dominion Roofing Co. can help. Our siding professionals will assess the damage to your home’s siding, match the siding color to one of our premium siding products, and replace so that it looks like nothing ever happened! Don’t let our name fool you, we have installed, repaired, and replaced siding for thousands of homes in Maryland, DC, and northern Virginia. If you need siding repair in Maryland, contact the siding experts at Dominion Roofing Co. today! Vinyl siding is a durable, attractive, affordable choice for the exterior of your home. Such siding is available in an array of colors, helps to insulate your house in both the summer and winter, and needs little maintenance. However, even vinyl siding can sometimes have repair issues. Pieces of siding can become loose during a storm and, left unrepaired, can allow water to seep behind the siding, causing water damage to the inside of your home. Flashings, the metal pieces that seal the corner seams of the siding and where the siding meets windows and doors, can also be compromised through weather and wear. These are the most vulnerable places in your siding system. Often these will need to be replaced even when the majority of the siding system is intact. Catching and repairing siding issues early can help to keep the rest of the system intact and save you money in the long run. If you see a loose piece of siding or flashing, it’s wise to call a roofing contractor and have them access the situation. Wood shake siding gives a home a rustic, seaside appeal that’s hard to beat. However, even treated wood shingles can succumb to the weather over time. 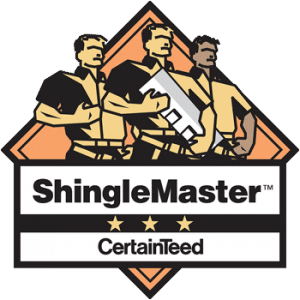 Sometimes wooden shingles can warp or split, causing water to escape between the siding and your structure, not to mention marring the overall look of the siding. Loose and damaged wood shingles can potentially allow water to seep behind your walls, causing mold or mildew to form. Why Choose Dominion Roofing Co.? Siding repair is too important to be left to a seasonal contractor or handy-man. You need a professional, experienced siding contractor to make sure that your siding repair job is done right the first time. Dominion Roofing Company, conveniently located in Montgomery County, Maryland to serve you, is just such a contractor. We’ve been helping northern Virginia, Maryland and Washington DC home and business owners with their siding needs for more than 25 years and have installed and repaired siding on thousands of houses around the region. Call us at 301-942-2009 or fill out the contact form to schedule an appointment.